Situated on over a 1/4 of an acre and located in the sought after Orange Tree Community, this home is a Must See! 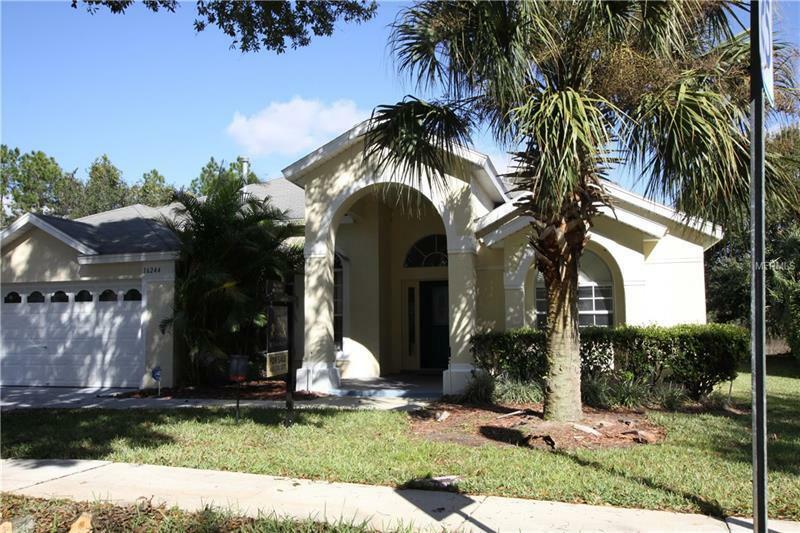 This lovely 4BR/3BA home has the most popular floor plan in the community. This home features a split floor plan with a formal living room, formal dining room, and a large family room, making it perfect for a short term rental, vacation home or private residence. The kitchen is centrally located, with counter space and a dinette area open to the family room - great for entertaining. The Master Suite boasts a roman soaking tub, a sparate shower, his/her sinks and his/hers walk-in wardrobes. French doors lead out to an oversized pool/spa and extended lanai area with no rear neighbors. Pool/lanai back up to conservation making it perfect for lounging and relaxation. The interior is freshly painted with new granite counters in the kitchen. The garage has new epoxy flooring and has just been painted. This is one home you won't want to miss!